We soak and receive the fullness of God’s love and blessing on Saturdays. We are equipped and receive the impartation and know-how on Thursdays. 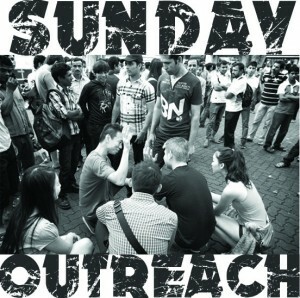 So on Sunday, we go out to the streets and release the goodness of God’s love, healing and presence. And it’s amazing to see how much God wants to reveal Himself and release His love and life to everyone! What’s beautiful about these outreaches is that the teams comprise of believers from different organizations and locations! We see experienced ministers as well as new believers wanting to come and grow through experience and learning among friends. Unity in the Body of Christ! 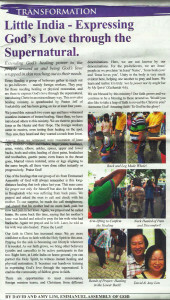 Extending God’s healing power to the people around us and being God’s love wrapped in skin reaching out to their needs. 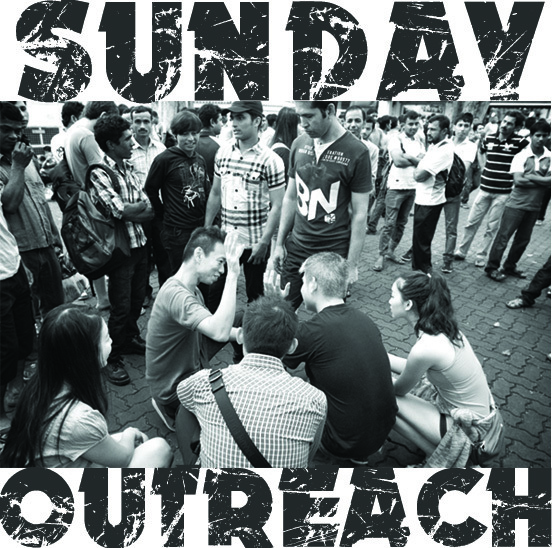 Every Sunday, a group of believers gather to reach out to pre-believers – mainly foreign workers. They pray for those needing healing or physical restoration, and are there to express God’s love through the supernatural, introducing Christ in an extraordinary way. This revivalist healing ministry is spearheaded by Pastor Jeff of Soakability and has been going on for at least four years. 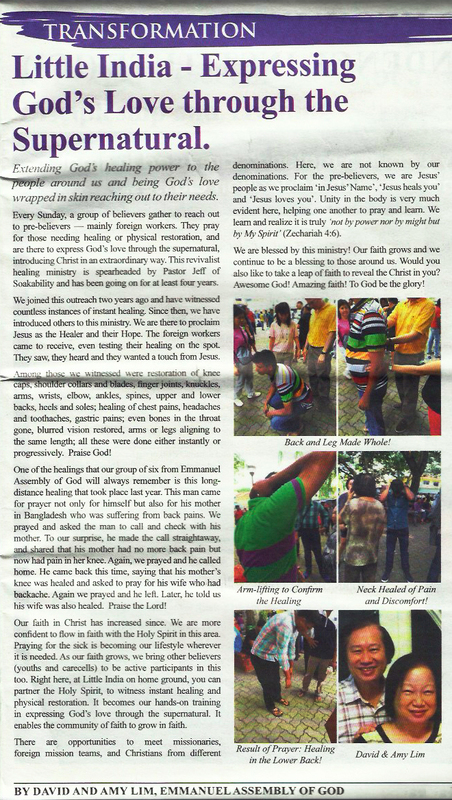 We joined this outreach two years ago and have witnessed countless instances of instant healing. Since then, we have introduced others to this ministry. We are there to proclaim Jesus as the Healer and their Hope. The foreign workers came to receive, even testing their healing on the spot. They saw, they heard and they wanted a touch from Jesus. Among those we witnessed were restoration of knee caps, shoulder collars and blades, finger joints, knuckles, arms, wrists, elbow, ankles, spines, upper and lower backs, heels and soles; healing of chest pains, headaches and toothaches, gastric pains; even bones in the throat gone, blurred vision restored, arms or legs aligning to the same length; all these were done either instantly or progressively. Praise God! One of the healings that our group of six from Emmanuel Assembly of God will always remember is this long-distance healing that took place last year. This man came for prayer not only for himself but also for his mother in Bangladesh who was suffering from back pains. We prayed and asked the man to call and check with his mother. To our surprise, he made the call straightaway, and shared that his mother had no more back pain but now had pain in her knee. Again, we prayed and he called home. He came back this time, saying that his mother’s knee was healed and asked to pray for his wife who had backache. Again we prayed and he left. Later, he told us his wife was also healed. Praise the Lord! Our faith in Christ has increased since. We are more confident to flow in faith with the Holy Spirit in this area. Praying for the sick is becoming our lifestyle wherever it is needed. 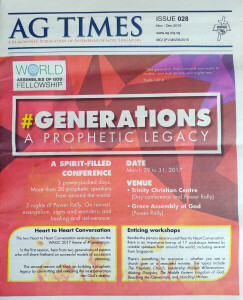 As our faith grows, we bring other believers (youths and carecells) to be active participants in this too. Right here, at Little India on home ground, you can partner the Holy Spirit, to witness instant healing and physical restoration. It becomes our hands-on training in expressing God’s love through the supernatural. It enables the community of faith to grow in faith. We are blessed by this ministry! Our faith grows and we continue to be a blessing to those around us. Would you also like to take a leap of faith to reveal the Christ in you? Awesome God! Amazing faith! To God be the glory! 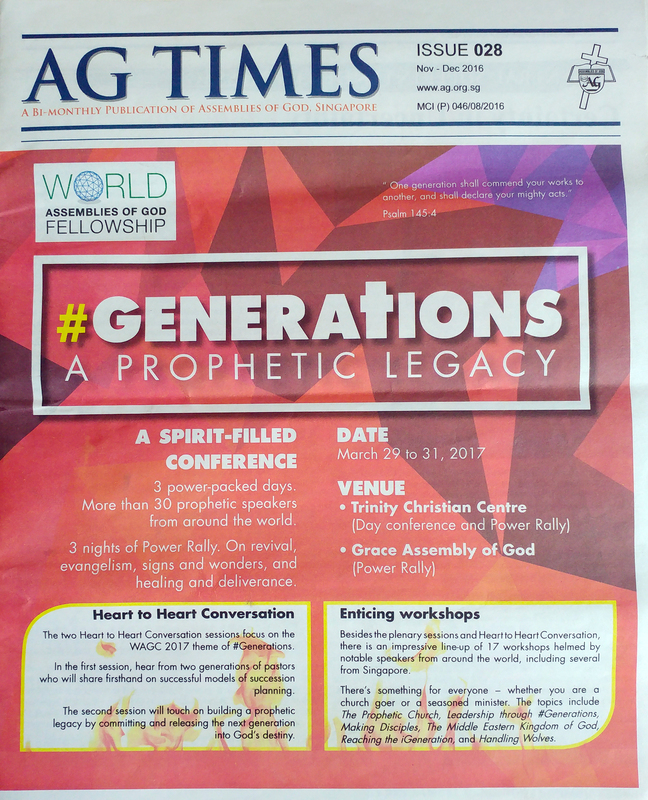 The above article is reproduced with permission from AG Times where it first appeared under issue 028 (Nov-Dec 2016).